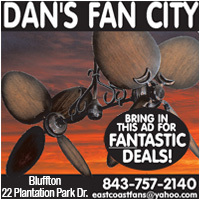 On Dec. 15 at about 11:30 a.m., the streets of Beaufort will be filled with the roar from hundreds of motorcycles. The rumbling machines - driven by men and women in leather jackets emblazoned with club names like Patriot Riders, Wingmen, U.S. Military Vets and Rolling Thunder - will turn onto the street next to Beaufort National Cemetery and then roll quietly onto the grounds. Their reception, however, will be anything but quiet, because hundreds of people will have been waiting for the arrival of Wreaths Across America - a nonprofit organization that delivers truckloads of donated, beribboned evergreen boughs designated for placement on the graves of veterans in cemeteries around the world. The two enormous Pepsi Company tractor trailers following the motorcycles contain the wreaths. They will pull close to the ceremony site at the front gate. It's a sight that makes David Parolee Edwards proud. The Navy veteran is the Beaufort location leader for WAA. He's been overseeing the ceremony for nine years and was a volunteer for several years before that. "I enjoyed paying respect and honor to our veterans who went before us. 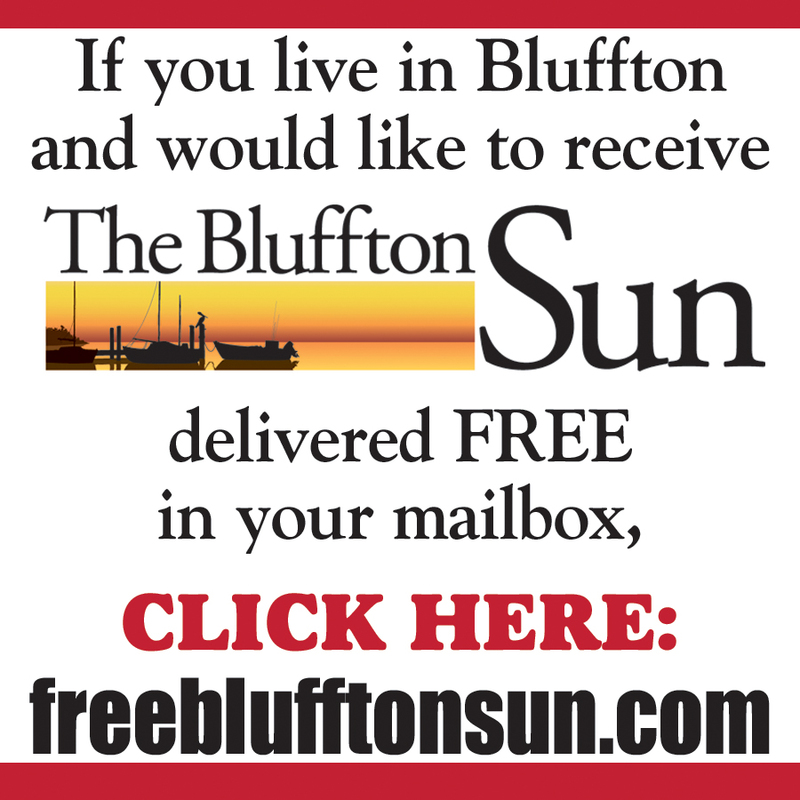 If it hadn't been for the veterans at Beaufort, across the nation and around the world, we wouldn't have the freedoms we have today," Edwards said. He speaks about the people buried in Beaufort as if they were personal friends, from the 12-year-old who joined the Union Army to the 9/11 survivor. "There are two Medal of Honor awardees, a German Prisoner of War, the Great Santini, a Pinckney who was awarded the Navy Cross, two former Beaufort National superintendents," said Edwards. "Every person buried there is very special and notable to me." The waiting crowd will be full of volunteers who have come to place a wreath at the grave of a grandfather, uncle, brother, sister, father ... or a complete stranger. Participation in the event appealed to Sun City resident Andy Hoerner, and she offered the idea to her neighborhood as a positive project. "I read an article about Wreaths Across America last year. It seemed like such a simple gesture of respect," she said. "With the neighborhood's approval, we put out flyers and our response was good. 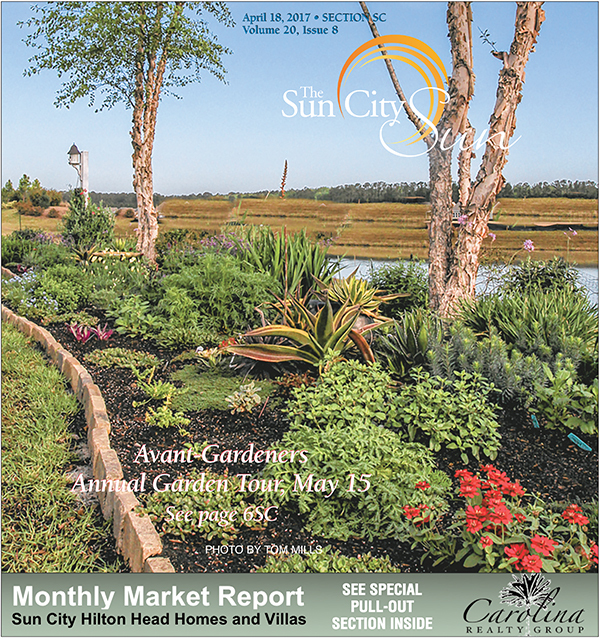 Ralph James was my coordinator on this and he suggested we put it out to all Sun City neighborhoods this year." Last year, the effort raised enough money to purchase 110 wreaths and Hoerner was delighted when she attended the ceremony for the first time. "The Pepsi trucks bringing in the wreaths with motorcycle escorts was awesome! The crowd was overwhelming in size and make up: everyone from seniors to families with small children," she said. "After a brief respectful ceremony including presentation of colors, songs, taps, invocation and benediction, everyone participates, I think respectfully but with enthusiasm - the kids! Then it's time to pass out the wreaths." Hoerner gives credit for this year's success to Linda Hooper, another Sun City neighborhood leader. After initial contacts with close neighbors, Hooper reached out with letters and emails to other neighborhoods. Her expanded efforts raised funds for 900 wreaths, and a number of residents will be gathering to participate as a group. "It's the most nonpolitical, nonracial activity. You could not argue about this," Hooper said. "This is something everybody can be involved in and not take offense to." And for her, it is also personal. "My husband passed away two years ago and he was a decorated Vietnam veteran with a Bronze Star. He didn't speak much about his time in Vietnam, but this is my way to honor him," Hooper said. Edwards finds rapport with the crowds that attend the wreath-laying ceremonies. "They're there to do the same thing I am doing - to honor our veterans and it gives me a big sense of fulfillment of pulling everything together that one day a year," he said. "It's a huge family. They may not know each other but they are each there to honor their loved ones." 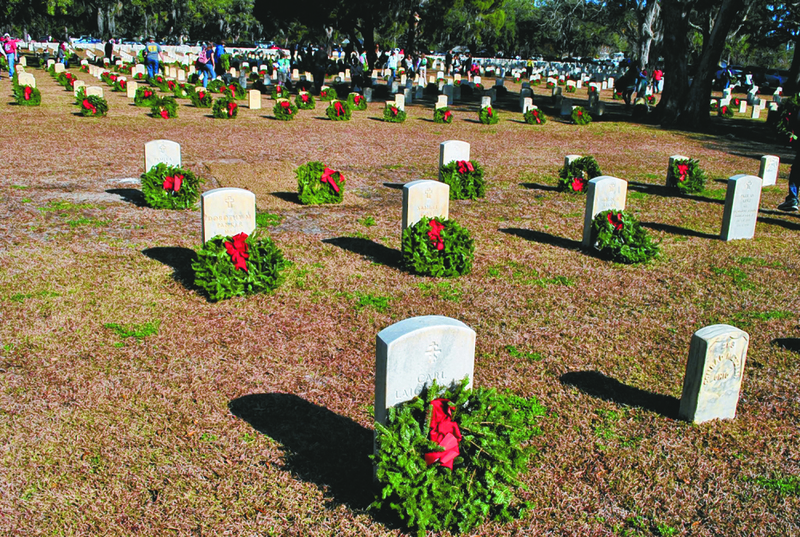 The ceremony will begin at 12 p.m. Dec. 15 at Beaufort National Cemetery, 1601 Boundary St., Beaufort. At press time, more than 5,000 wreaths had been funded through donations. For more information about parking and volunteering, visit WreathsAcrossAmerica.org and search for Beaufort National. 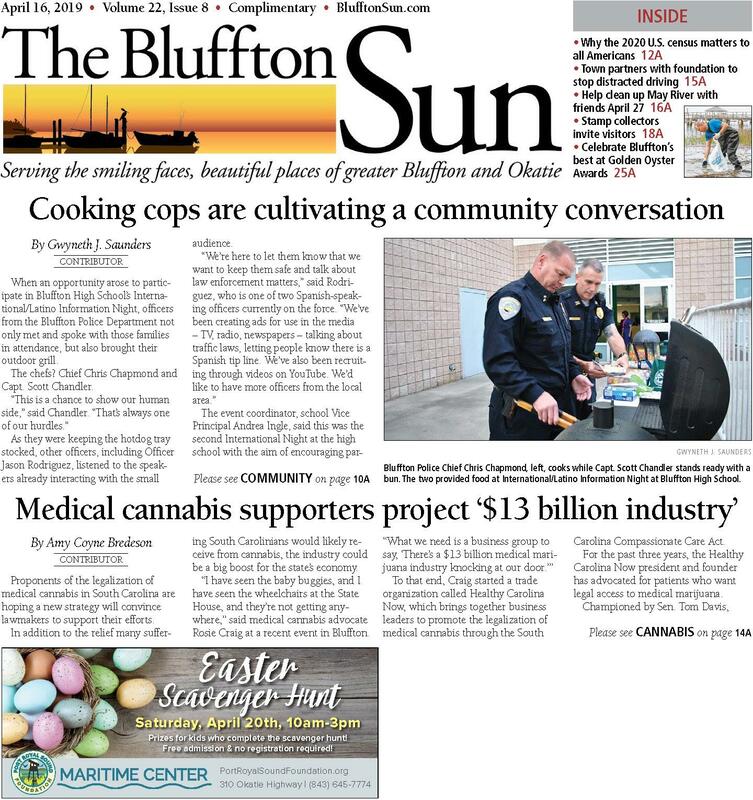 Gwyneth J. Saunders is a veteran journalist and freelance writer living in Bluffton.